Us Sydney-Siders love many things: our glorious beaches and waterways, our Opera House, our bush getaways, and the fact that we can call ourselves the most bustling city in the country! But do you know what else we love? We love those things in life that make our lives just that little bit easier, that little bit less frictional – like using professional home cleaners. Hands up who likes cleaning? No? Cleaning isn’t something that is usually enjoyed – that’s why we say that it’s a chore. And why should we have to spend our precious free time doing something that we really don’t enjoy, if we have the means to have it done by a professional. Professional home cleaning is becoming more and more popular. As we all lead very busy lives it simply makes sense to outsource the tasks that we have no time to do or even the tasks that we’d prefer not to do. By employing a professional cleaner you are not only providing somebody with a way to earn a living but allowing yourself some free time and peace of mind, by not having to worry about the cleaning. It really is a win-win situation. Having a house cleaner can be particularly stress-relieving if you have a family and a big house. It takes a lot of work to keep a household clean – which is why it’s great to be able to get some help. Whether it’s just a clean every now and then, or a weekly clean, it’s a real load off your mind when you know you don’t have to drag out the mop, etc. Sydney is the business capital of Australia, which means that we have a lot on our plates when it comes to working. If you work in the city but commute from elsewhere, then it can take even more time out of your day – so you don’t really want to have to clean when you get home in the evening, you want to relax! At HouseProud, we have a team of professional cleaners ready to help come and clean your house or apartment. Each of our cleaners are professionally trained, and we use commercial grade cleaning products so that your home can shine brightly. If you’ve never used a professional cleaning service before, then why not try ours out? Get in touch for a one off clean to see what a difference it can make to your life. Many of our customers choose to have ongoing house cleaning, as they find it a welcome change in their lives that frees up more time. If you don’t already have a cleaner you may just be about to find out why Sydney-siders love professional home cleaners so much! Please give us a call, or send through an email if you would like to inquire about our services. 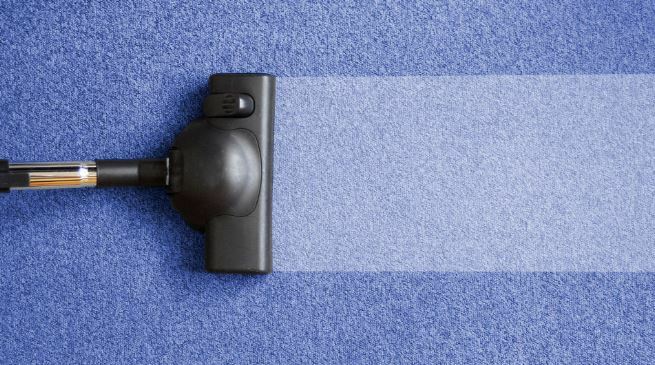 How Often Should You Get Your Carpet Steam Cleaned?